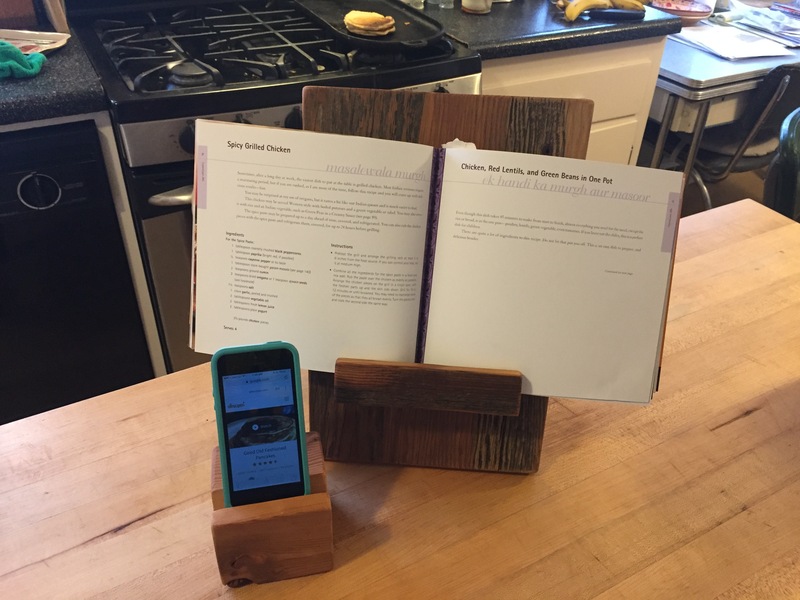 Phone and Cook Book, I-pad holders; reclaimed lumber. The book holder disassembles into 2 pieces for easy storage with the books. Available at the Curiosity Shoppe in Laramie or email me for shipped orders.